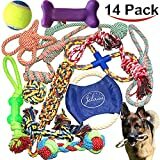 XTRA LARGE DOG ROPE TOYS. 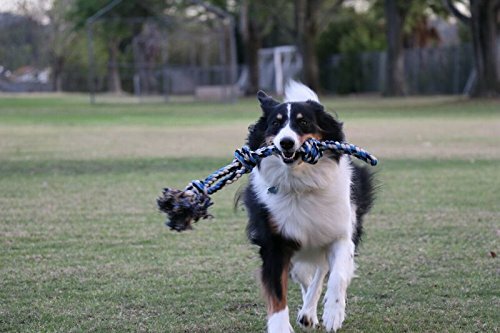 PROFITS HELP RESCUE DOGS FROM HIGH KILL SHELTERS! 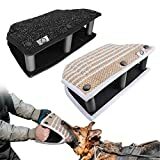 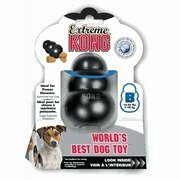 These chew toys for dogs are interactive dog toys that your large dogs will love, and so will you! 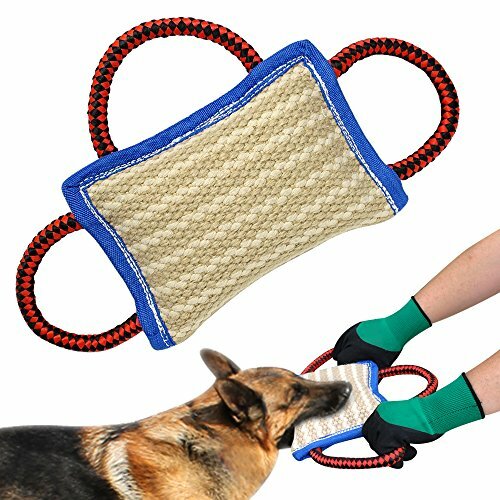 You and your dog will have fun with these enormous puppy toys that are designed for large dogs and will stand up to aggressive chewers! 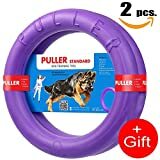 Puppy chew toys for large puppies or very large dogs are great for obedience and bonding exercise. 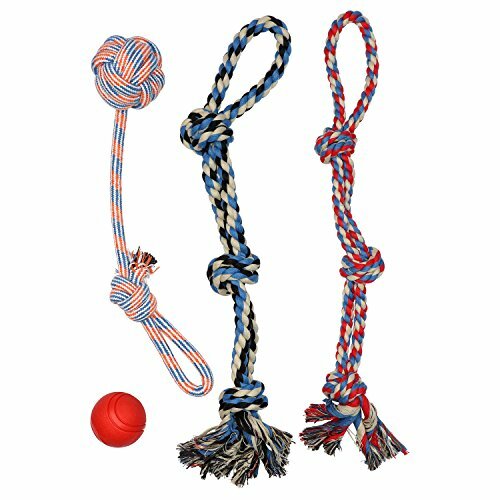 Stress relief toys like most indestructible dog toys and indestructible dog ropes are great for keeping thundershirt calm. 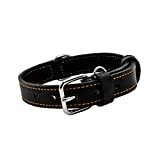 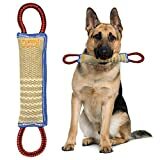 Pit Bulls, Labradors, Great Dane, German Shepard, Giant Schnauzer all love rugged rope toys. 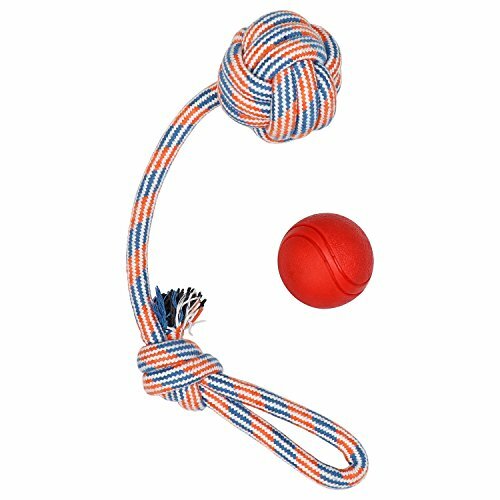 These are good dog toys for boredom – your dog can chew and will have fun for hours! 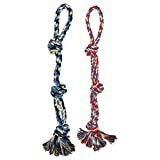 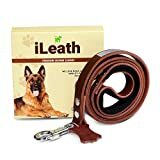 Dog rope toys chew teething toys for aggressive dogs. 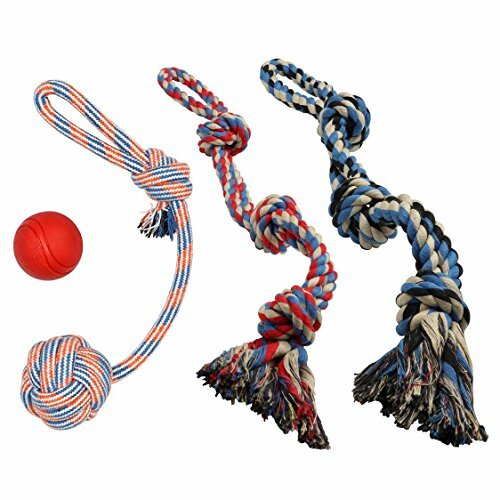 Improve your dog’s breath and dental health with rope flossing toys that help worth the gums and teeth while relieving stress and anxiety. 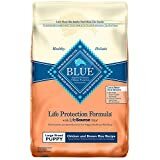 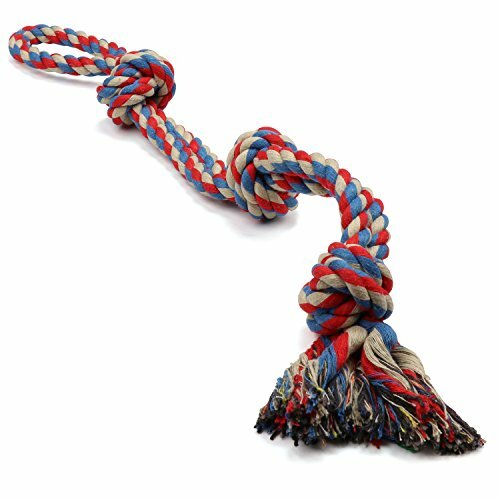 These dog rope toys for large dogs have passed the highest standards tests for lead, cadmium, and Phthalates. 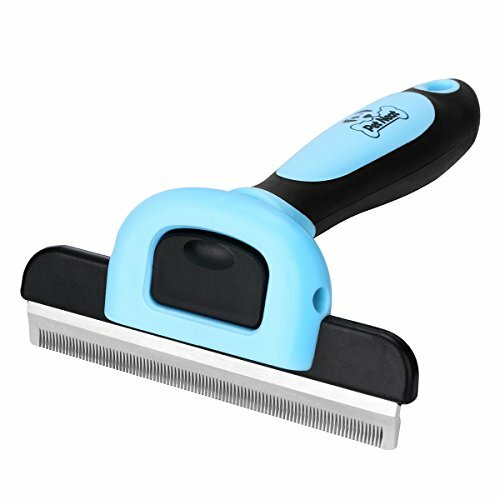 Don’t trust ANY that have not been individually tested! 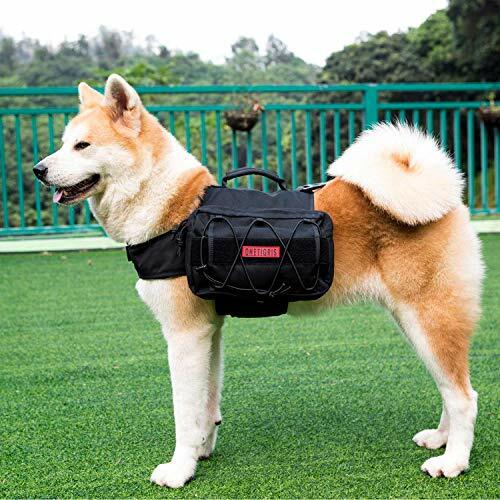 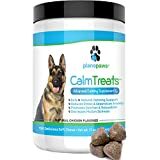 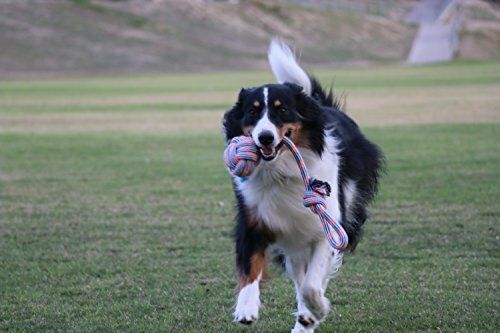 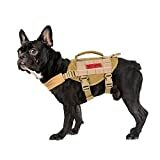 Purchase high quality dog rope toys only from Pacific Pups Products to ensure you are buying the safest large dog rope toys available. These durable dog rope toys for tug of war and dog ball are nearly indestructible. We guarantee your dog will love playing with the dog rope toys and dog ball or your money back! 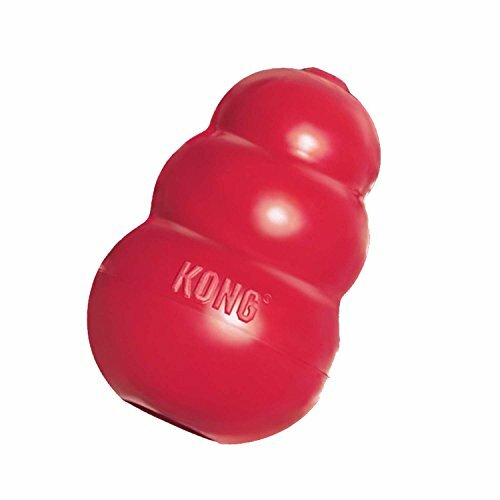 Brand:Kong, Material:Rubber, Mpn:PEKC150, Purpose:Dog Dental Health, Shipping:FREE !